Update: Madman Entertainment, who have licensed the film for Australia, have posted an English-subtitled trailer – which we have added to the article. Credit to UK-Anime. According to AnimeNewsNetwork, the film is already slated to open in 57 countries. “Mirai from the Future” (Mirai no Mirai), the latest anime feature film from acclaimed director Mamoru Hosoda (Wolf Children), will open in Japan on 20 July 2018, the Japanese distributor TOHO confirmed this morning. Mamoru Hosoda is also credited as screenwriter and for the original story of the film, which will be animated at his co-owned Studio Chizu (The Boy and The Beast). “Mirai from the Future” focuses on spoiled four-year old Kun-chan, who upon the arrival of his new sister Mirai, feels as though she stole his parents’ love from him. Overwhelmed by many experiences he encounters for the first time, he comes into contact with an older Mirai – from the future. 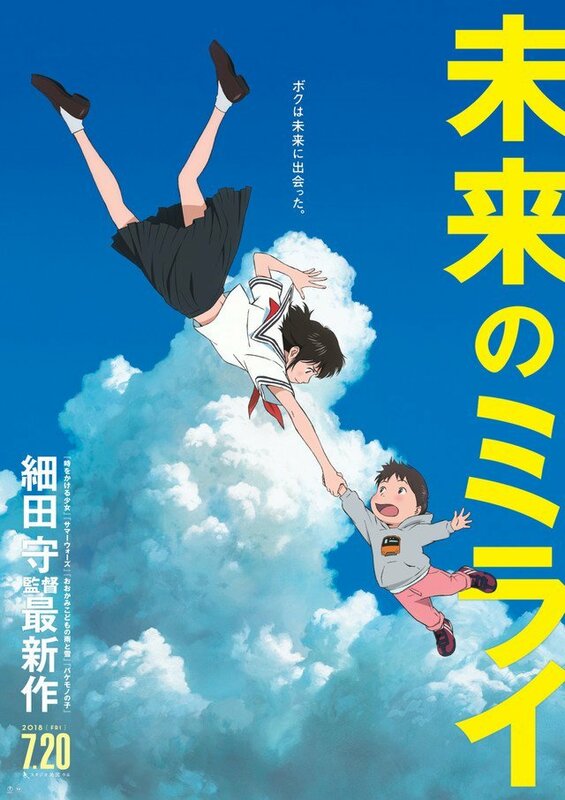 The film’s creative team is comprised of numerous alumni who have worked on Hosoda’s filmography from The Girl Who Leapt Through Time to present, with the film’s Animation Director roles being filled by Hiroyuki Aoyama and Ayako Hata (Key Animator, The Girl Who Leapt Through Time). Yohei Takamatsu and Takashi Omori (The Boy and The Beast) will be returning as art directors, with Yuichiro Saito producing. Speaking to Variety in May, Hosoda described the film’s core theme as “siblings”, continuing from similar themes explored in his previous films: “youth” in The Girl Who Leapt Through Time, “family” in Summer Wars, “motherhood” in Wolf Children and “fatherhood” in The Boy and the Beast. A UK release for Mirai from the Future has yet to be announced, but keep an eye on Anime UK News for any and all future updates!